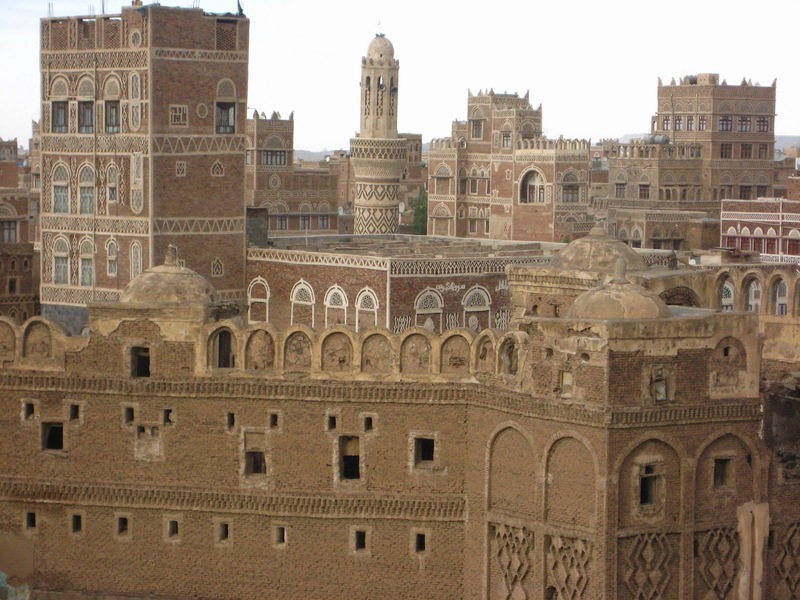 Shibam is the name of a beautiful location in Yemen, whose Antigua and Walls city were declared a World Heritage Site in 1982. 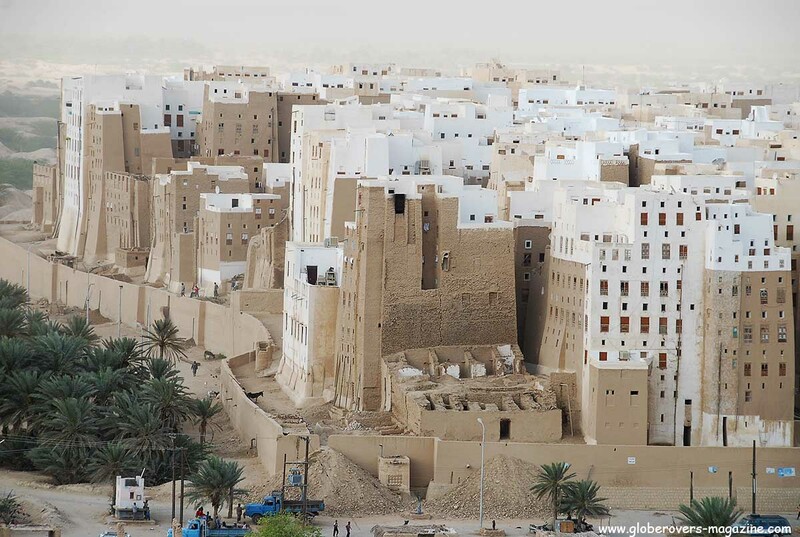 It is a spectacular mini-isolated city in the desert, whose characteristic “mini-skyscrapers” of between 5 and 11 live about 7,000 homes. The lovingly nicknamed as “The Manhattan of the desert ‘. From the air, Shibam seems a mirage. A handful of buildings arises tight sand defying gravity and emitting golden sparkles. All around, palm trees and the bed of the Hadramaut. 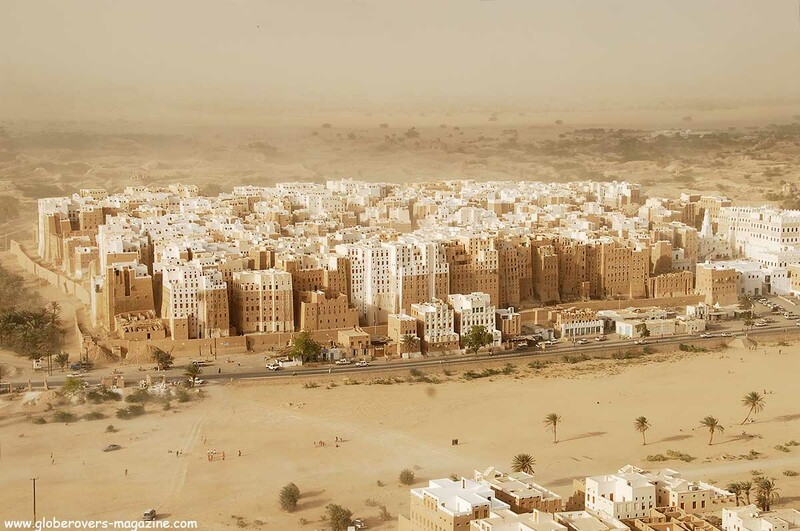 Beyond just the Rub al Khali vacuum, a huge and unrepentant desert that has marked the life and history of this ancient walled city in eastern Yemen. His proud 7,000 trace the origin of their settlement in the twelfth century BC, although no written notice of its existence until 1500 years after the record, when the destruction of Shabwa made the capital of the kingdom of Hadramaut moved to this oasis arisen in the confluence of several wadis. The most shocking is that most of these mini-skyscrapers (formal ladefinición of “Skyscraper” is a building of 12 or more plants) are built literally earth brick. They are regularly treated with a thick mud bath maintenance mode. Some of the buildings reach over 30 feet high, and although the city has existed there in one way or another since about 2,000 years ago, most of the buildings date mainly Herculean sixteenth century. It was the richness of incense which helped to lift one of the most extraordinary examples of local architecture which is then repeated in other cities in Yemen as Kawkaban or the old town of Sanaa. Without any solid materials that centuries later would allow the construction of skyscrapers, using only adobe and palm trunks, they lifted up nine-story towers on stone foundations. Rebuilt after the floods of 1298 and 1532, no less miraculous than upstanding have remained to this day. Despite the modest materials, the variety of designs that adorn the facades Shibam become a true open-air museum. Not only the Great Mosque or Jarhum House, the oldest building in the city are decorated with lattice and antique wooden doors. Cal frameworks enhance the openings of windows or delimit the different floors, especially the highest, in almost all of hundred towers that are conserved within the wall. In contrast with white lime, straw used to give consistency to the mud produces golden sparkles under the desert sun. This set, which UNESCO considers “the oldest and best preserved urban planning based on the principle of vertical construction example,” was certainly a defensive intent. 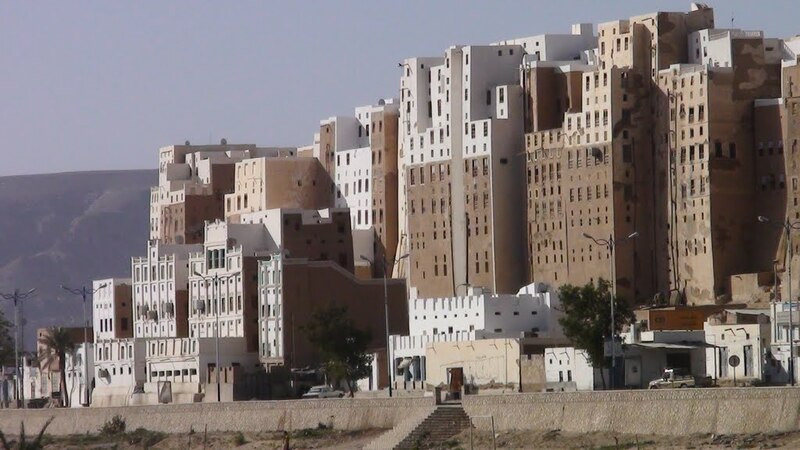 What Yemeni architects of the time was looking buildings that allow coping with the Bedouin attacks. They could not count on the protection of the mountains because access to water had to be installed next to the beds of seasonal rivers that watered the valley. So the population concentrated in the smallest possible space within a compact structure. Zhangye Danxia Geopark in China. NO SABIA ESTO/ PERO ES DIFFICIL DE HACER UN VIAJE EN YEMEN EN ESTE TIEMPO NO?